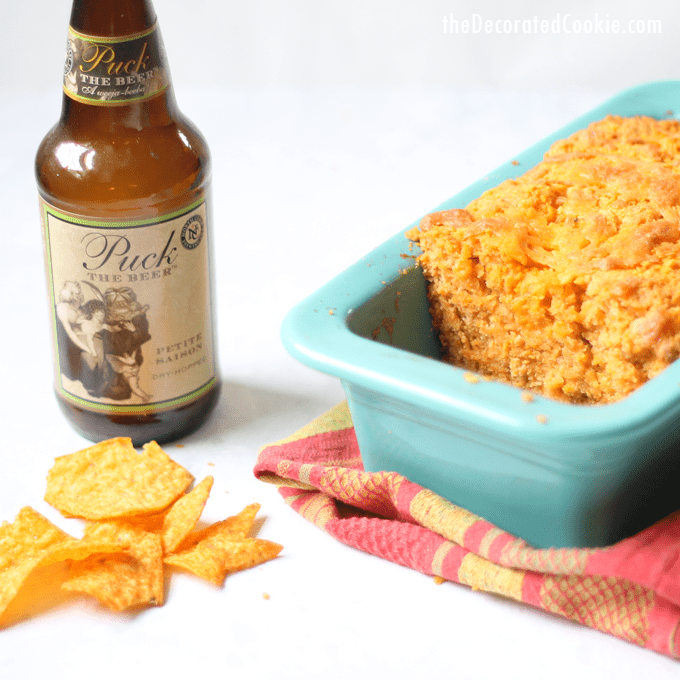 Doritos beer and cheddar bread combines three of my favorite things in one quick bread. Oh yes I did. 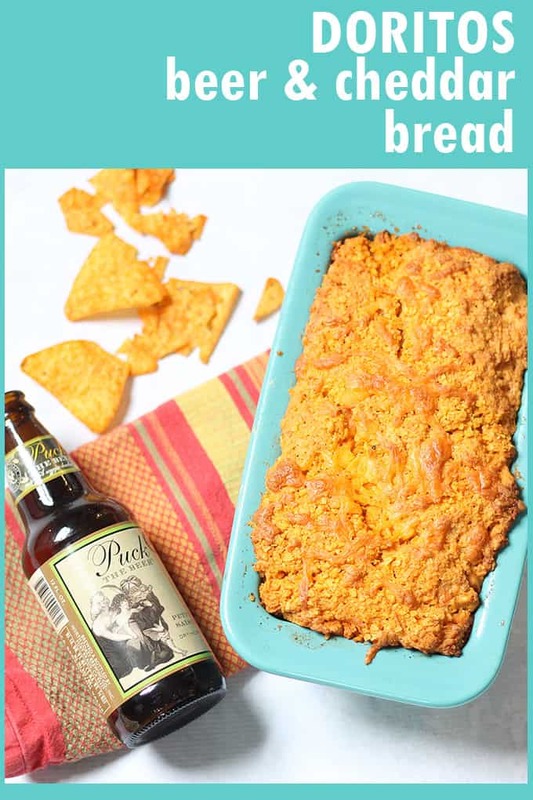 I paid homage to my favorite junk food, Doritos, by baking it in bread. But not just any bread. Beer and cheddar bread. If I added bacon on top, it might just have been the best food combination ever in the universe. (Next time.) 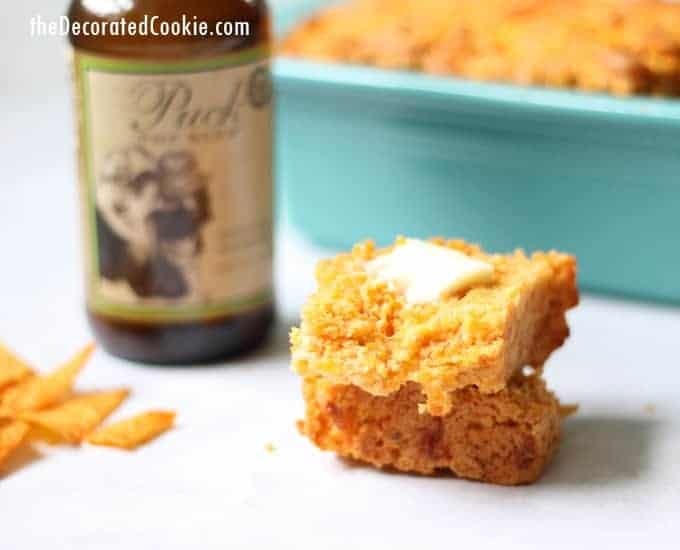 This Doritos beer and cheddar bread is easy to make, crazy-delicious, a perfect crust on top, and soft inside. For the beer, I used a “dry-hopped” petite saison beer, because that’s what my husband handed me. Choose any beer you like drinking, ale or lager. IPAs are a good choice. 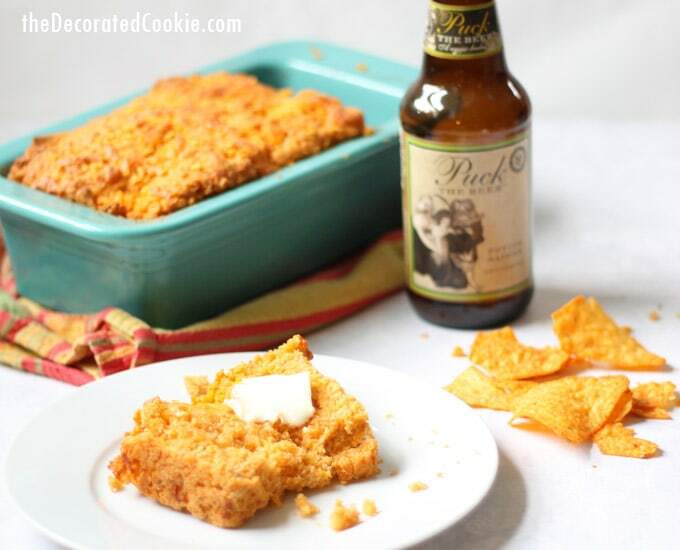 This junk food version of beer and cheddar bread is so so very delicious. Serve with a pat of butter and a cup of coffee, or make it part of your dinner and serve with soups, chilis or stews. Love this? (I mean, yes, of course you do.) 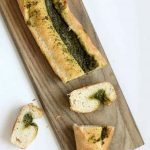 Try this two-ingredient pesto bread. Or, if beer and cheese is your thing, you’ll want to try this easy beer and cheese fondue. 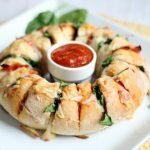 Preheat the oven to 375 degrees F. Grease a bread pan. In a food processor, process Doritos (two to three cups at a time) until you have 2 cups of crushed Doritos, plus an additional tablespoon. In a large bowl, mix 2 cups of crushed Doritos, the flour, baking powder, salt, and sugar. Stir in the beer. Stir in 1 cup of shredded cheese. Mix well and pour into the bread pan, gently patting the top of the mixture so it’s even. In a microwave-safe bowl, melt the butter. Stir in a tablespoon of crushed Doritos. Brush on top of the bread. 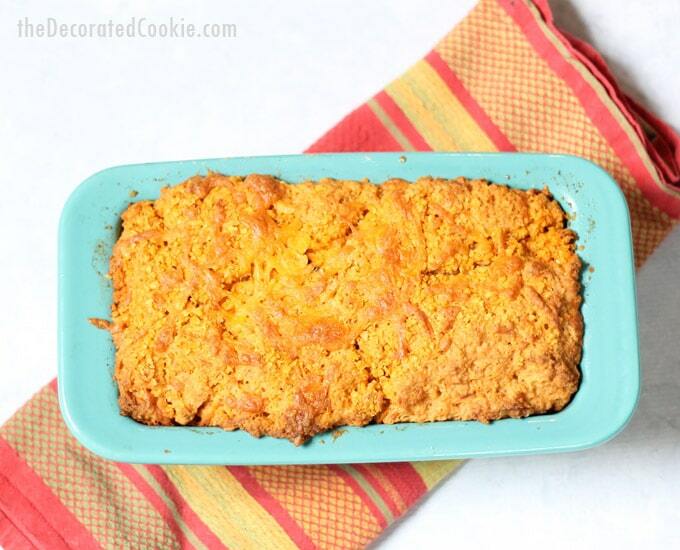 Sprinkle an additional 1/4 cup of shredded cheddar on top. Bake until cooked through, 40 to 45 minutes. 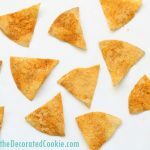 In a large bowl, mix 2 cups of crushed Doritos, the flour, baking powder, salt, and sugar. Stir in the beer. Stir in 1 cup of shredded cheese. Mix well and pour into the bread pan, gently patting the top of the mixture so it's even. 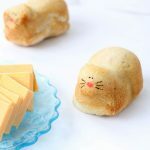 When you visit me in the fall I want to find a loaf of this bread packed away in your suitcase!!! It looks amazing.